Since 2010, the Evolve Community Outreach Program has been helping the less fortunate and underprivileged through free martial arts training, life mentorship, charitable donations, gift drives, and sponsored activities such as Movie Nights, Bowling Parties, Team BBQs, and more. Evolve MMA has a mission to change this world for the better by making a positive impact on the lives it touches. A big part of our joy stems from giving back to the community, especially to those less fortunate. Almost all of our instructors and World Champions overcame a life of hardship and poverty with very little food and shelter. Martial arts gave them confidence, tenacity, discipline, and a path to a better life. Inspired by the life of Kru Yodtong Senanan, the Evolve Community Outreach Program is a way for the Evolve Family (students, instructors, World Champions, fighters, and staff) to give back to this world. It is a pro-bono program for various orphanages, youth homes, and charities and a platform to unleash the human potential through the martial arts. The Boys’ Town Home is a charitable institution focused on helping troubled children and orphans who have been forgotten by society. The children live at Boys’ Town Home, a sanctuary dedicated to enriching their lives with love and life skills. Many of these children are unwanted by their own families and/or have been completely abandoned by their families and society. In other cases, their families simply cannot afford to care for the children. Over the years, Evolve MMA has become a family to these children while making a lifelong positive impact on their lives through the martial arts. All members of the Evolve Instructor Team serve as life mentors, teaching martial arts to the kids on a pro bono basis at Evolve MMA. It is our goal to transform the lives of these children by nurturing them with the benefits of martial arts. They will inherit confidence, mental strength, self-discipline, work ethic, self-defense skills, and much more. Above all, they will be taught to dream and to unleash their potential in every area of life. The Children’s Society serves as one of Singapore’s leading organizations for promoting the well being of children in need. Their mission is straightforward: “To bring relief and happiness to children in need.” Currently, the Children’s Society operates 9 centers across Singapore and offer services in 6 primary categories: Caregiving, Community, Developmental, Preventive, Public Education and Remedial. These centers serve as a place for children to learn, develop, and grow when their parents are not around. Many of the children’s parents do not have the time or resources to give them the guidance they need. The Children’s Society fills this gap and serves as a safe environment for children to develop the skills they need for life. Through our partnership with the Children’s Society, we hope to further enrich these children’s lives. Evolve MMA will take these children into the Evolve Family and provide them with valuable martial arts training that will positively impact their lives. The Evolve Instructor Team will embrace the role of life mentors and teach martial arts to the children on a pro bono basis. By teaching these children the values of martial arts it is our belief that we can transform their lives for the better. Through martial arts training the children will inherit confidence, mental strength, self-discipline, a pure work ethic, self-defense skills, and much more. Most importantly, the children are given the necessary tools and guidance to unleash their potential in every area of life. MINDS is one of the oldest and largest non-governmental organisations catering to the needs of people with intellectual disability in Singapore. The organization runs 4 Special Education Schools to cater to the educational, vocational, social and welfare needs of people with intellectual disability. Evolve MMA helps to provide support to these individuals by giving them a sustainable livelihood that not only empowers them, but also gives them the ability to support themselves through their own efforts. Evolve MMA commissions the MINDS Social Enterprise to harness its creativity by producing handicrafts for sale to members of the Evolve Family. Martial arts have positively changed the lives of all the Evolve MMA World Champions and student members. Through the Evolve Community Outreach Program, Evolve MMA aims to harness the transformational power and joy of learning martial arts and share it with society’s less fortunate and underprivileged. In order to fulfill this mission, we have joined hands with the Children’s Cancer Foundation, a non-profit organization that aids in the rehabilitation process of children recovering from cancer. 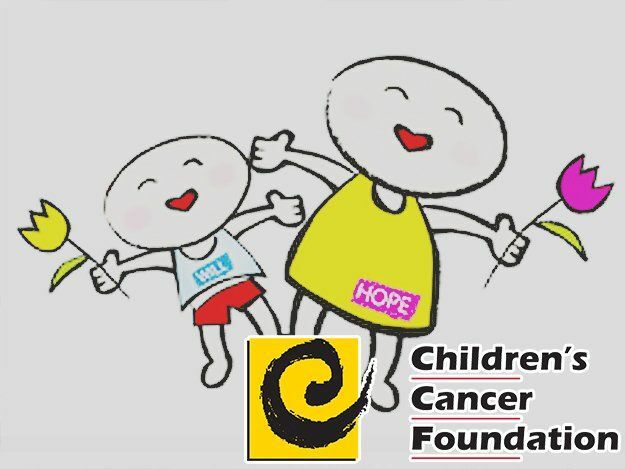 By enhancing their emotional, social and physical well being, the Children’s Cancer Foundation aims to provide much needed support to children recovering from cancer and their families in their battle against the life threatening illness. Evolve MMA provides support to these children through the FunFit Program, a special fitness program created by the Evolve World Champion Instructor Team. The FunFit Program is a martial arts themed workout that focuses on using coordination and cardiovascular strength to boost the immune system. It is our mission to help these children move on from the darkness of illness and look forward to their lives ahead with positivity. The FunFit Program pairs volunteers from the Evolve Family to interact and lead the children through a series of engaging workouts. Not only will they benefit from increased confidence, mental strength, and self-discipline, the children will also enjoy improved overall health and fitness. Beyond Social Services is a community-centered non-profit welfare organization that focuses on impacting young lives by providing them access to social, educational, and community support programs. Beyond Social Services goal is to curb juvenile delinquency in disadvantaged households. This is achieved by working to promote an inclusive community through collaborations and activities fortified by a strong network of grassroots and institutional support. Evolve MMA works in partnership with Beyond Social Services to run a weekly fitness program for the young residents of low-income neighborhoods in Singapore. 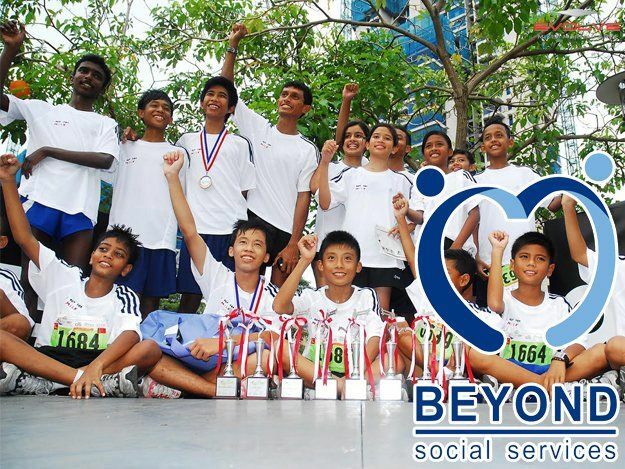 The program involves the participation of previous beneficiaries of the Evolve Outreach Program – coming full circle – the graduates of Boys’ Town Home and Singapore Children’s Society now act as role models in leading the youths in various fitness routines. Today, the program is currently held at a common activity space nestled between residential apartments. It is also known to attract interest from the older residents in the neighborhood, who often end up joining the group workout sessions. MIJ Eduhub is a school that provides programs for students who are diagnosed with ASD, ADHD, Cerebral Palsy, Down syndrome, Dyslexia and Global Development Delay. With a mission to enable students with ‘learning differences’ or ‘special care’ to have the ability to think, communicate, create and apply their learning experiences throughout their lifetime, MIJ aims to prepare them to be productive members of society. Since April 2016, Evolve MMA has been holding weekly Fun Fit sessions for MIJ. An average of 10 to 17 students attend the program each week, and they take part in the fitness activities including drills that involve bodyweight exercises as well as active games such as tug of war. Apart from improved fitness, the students have become much more optimistic, courageous, confident, and enthusiastic during these sessions.